Mifflinburg's Adriana Grabski has won 4 PIAA titles over the past two years and goes for two more beginning Friday. Here she celebrates after winning the 100 yard freestyle with a record breaking time of 49.57 seconds last March at Bucknell. 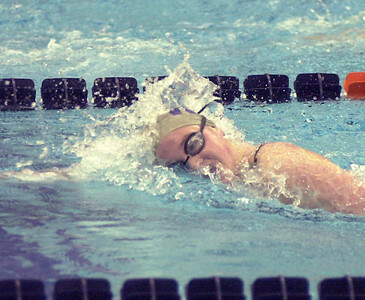 Grabski, who is heading to Virginia Tech, won the 100 free in 2012 and 2013, the 50 free in 2012 and the 200 free in 2013. 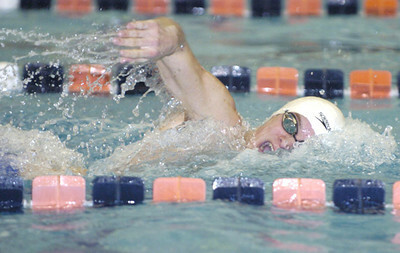 Selinsgrove's Dustin Folio won the PIAA Class AA title in the 200 freestyle in 2009. The Seal senior, who later swam at Penn State, won in 1:38.43 in and is Selinsgrove's only PIAA swimming champion. 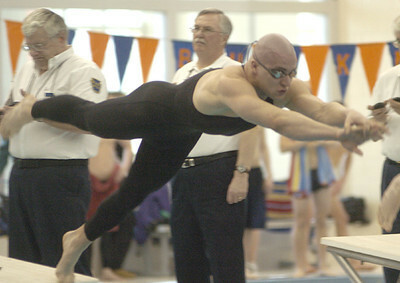 Danville's Nick Hein won a pair of PIAA Class AA sprint titles in 2008. The senior broke the 21-second mark to win the 50 free in 20.95 seconds and also won the 100 freestyle in 46.07 seconds. Danville’s Ryan Kishbaugh was caught up with emotion while talking to her coach Dave Russell after she won the gold medal in the 100 backstroke in 2005. Kishbaugh, who later swam at Pittsburgh, won in 57.84 seconds. Warrior Run senior Katie Waldron became her school's only PIAA swimming champion in 2004 when she won the 500 freestyle as a junior. Waldron won the title by covering 20 laps of the pool in 5:06.37.